Can you keep Footy Flyer up, up, up in the air? 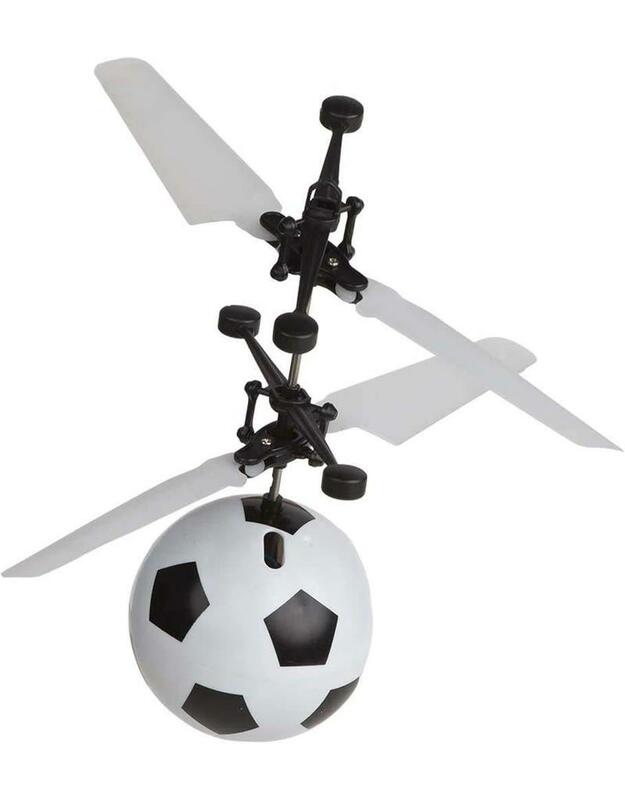 Control this mini flying soccer ball, designed with patented proximity sensor technology, using your hands, knee, or foot to send it soaring upwards without actually touching it. It auto-descends after each virtual kick, and it counts your kicks as you move toward it, so it's perfect for practicing skills, inside or out. Set it to Auto-Hover and challenge your buddies to a friendly competition. You can even customize it with team stickers that are included. Includes USB charger.